Carte de Visite of a young woman, possibly from the Bangor, Maine area, as the photograph was taken by C. L. Marston, No. 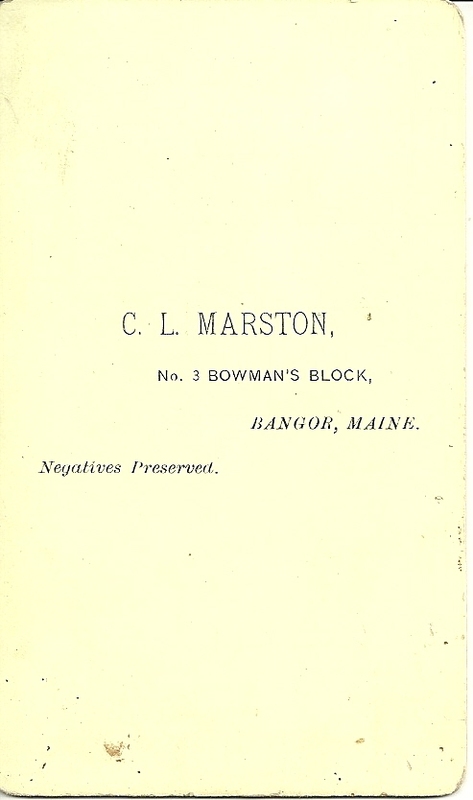 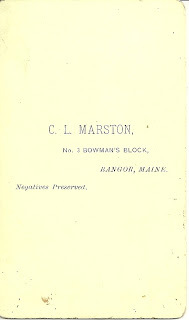 3 Bowman's Block, Bangor, Maine. 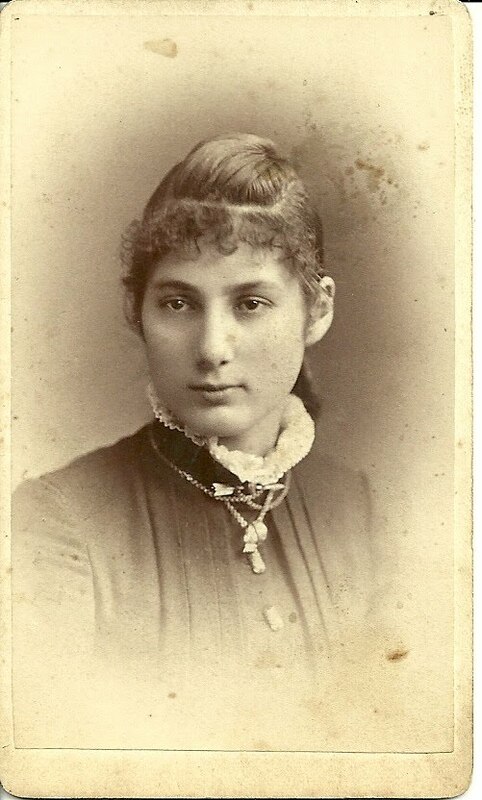 Sadly, she is unidentified, but she has a distinctive expression that perhaps you might recognize if you have studied Bangor or Penobscot County genealogy.